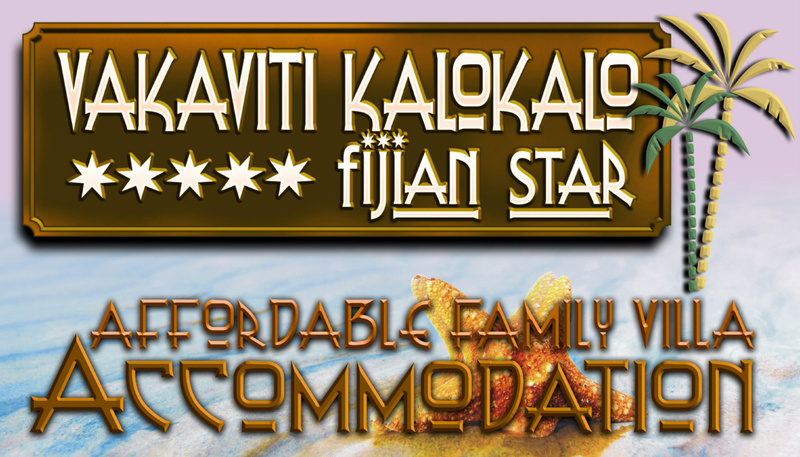 Fijian Star - Vakaviti Kalokalo is one of Maui Bay's newest & is a uniquely designed luxury family holiday villa. 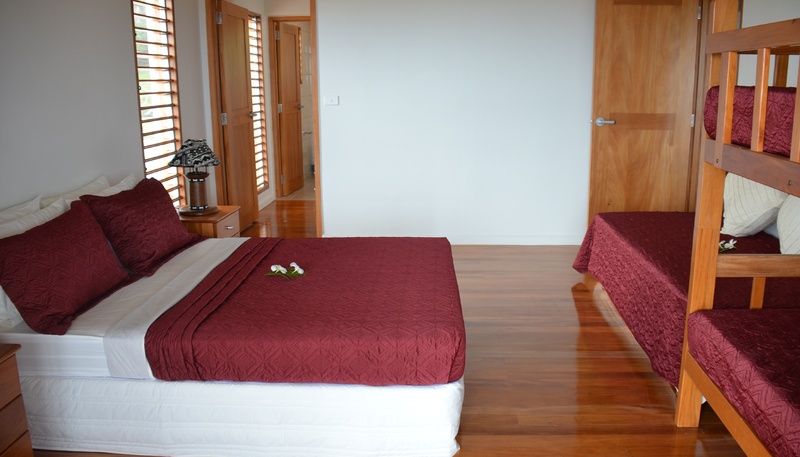 Accommodation is suitable for couples, families, friends, groups & capable of sleeping up to10 guests. Vakaviti Kalokalo offers stunning elevated 180 degree mesmerising views of the Pacific Ocean and the surrounding coral reef. 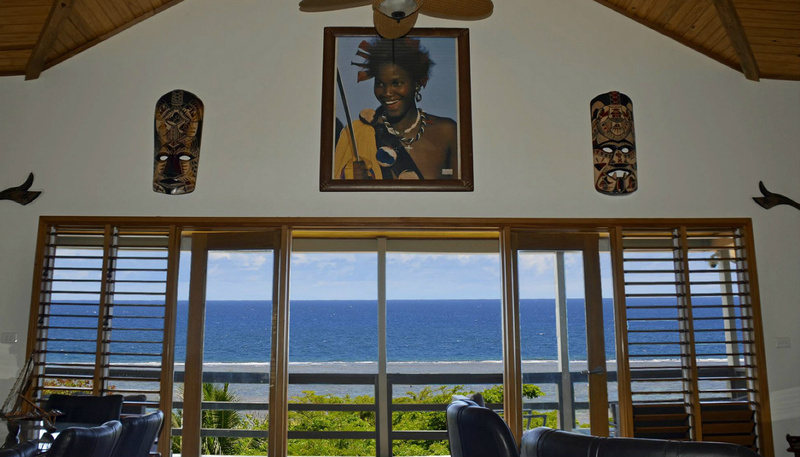 Located on the beautiful Coral Coast of Viti Levu, Fiji's main Island and positioned to capture the cooling south east trade winds, about 1 hour 20 minutes drive from Nadi International Airport & about 2 hours drive to Suva. The Maui Bay, swimming pool. clubhouse, beach, jetty & supermarket are all within 3 minutes walk. 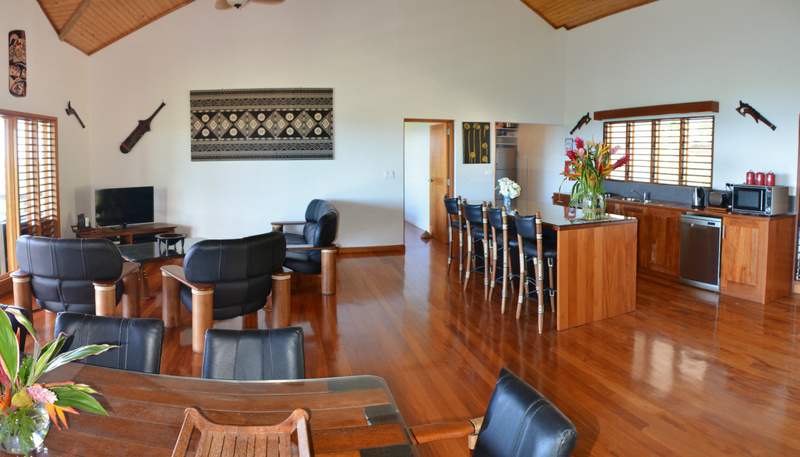 Featuring beautiful polished mahogany floors and cabinets & furnished with amazing world famous Pacific Green furniture, Vakaviti Kalokalo gives an elegance not found in similar villas. Rattan like ceiling fan/lights adorn the high timber ceilings. 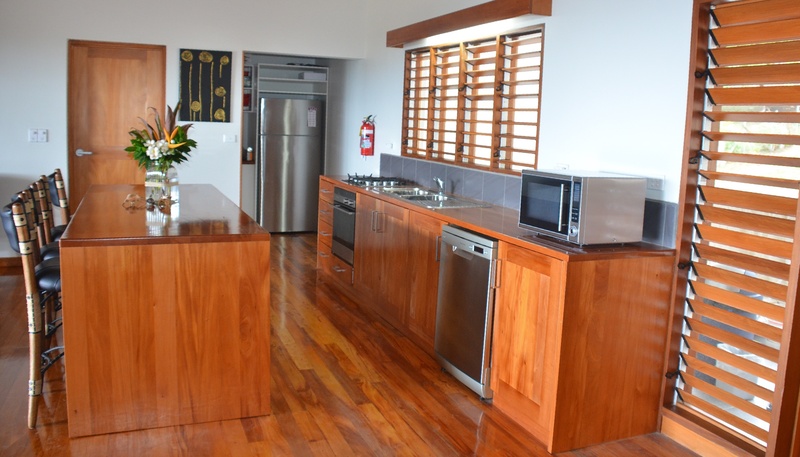 A huge central living/dining/kitchen area is flanked by 2 large air conditioned bedrooms, each with separate en suites Vakaviti Kalokalo is fully self contained, fitted out with Fisher & Paykel appliances. All linen, towels, crockery, cutlery, utensils and a welcome starter pack plus more are supplied. 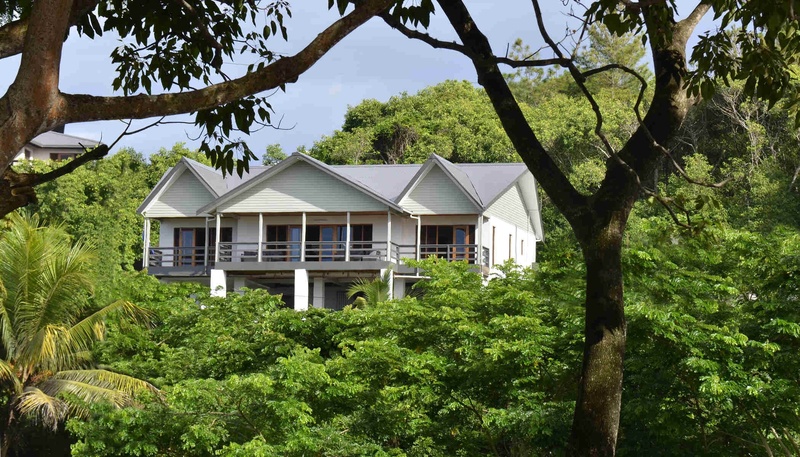 You will not be disappointed in holidaying at this amazing property.